I'm always excited when old work gets new life in a new publication. 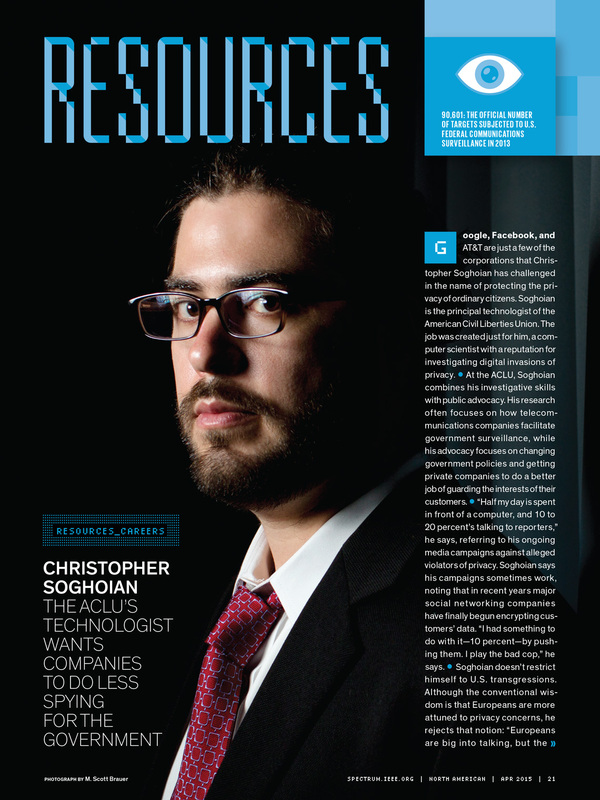 In this case, a photograph of Christopher Soghoian from a 2012 shoot for MIT Technology Review was used in the April 2015 issue of IEEE Spectrum magazine. The 400,000 circulation magazine is sent to members of the engineering organization, but the article is available to read online. Thanks to Randi at IEEE for getting in touch and for the great play for the picture.